England, Belgium, The Channel Islands and France took part in the new tournament on the International Pool calendar. England took 3 teams to Belgium, a Ladies team and Mens A and B team. The Ladies and Mens B teams took the titles, whilst the Mens A team narrowly missed out, being beaten in the final by France. England Ladies Manager, Shirley Jewkes, picked her team from her full squad of 16 and the 6 she chose to take to Belgium were: Helen Littlewood (Captain), Lisa Wray, Liz Disney, Beckie Watkins, Sue Feltcher and Jools Fane. You could tell all players were nervous in the first game but still managed to beat The Channel Islands team 11-4. England then repeated the 11-4 scoreline for an excellent victory against old rivals France. Next up were host nations Belgium, who had fantastic home support, but by now England had settled into the tournament, all nerves were gone and they breezed to a 13-2 win to secure their place in the final. The final saw a repeat of the first match against the Channel islands, England found their feet early on in the match and the fact it was a final didn’t faze the players who played the best they had all day and took the title with an impressive 8-3 win. Our Helen had an excellent tournament, dropping only 2 frames in the team whole competition. ‘It’s a gruelling task to even get to the England trials stage before you get into the team, and then to be in the team and be asked to represent your country in a tournament abroad is such a honour, to be asked to captain that team is just something else!’ she said, bursting with obvious pride. Helen has been in the England team before and was part of the World Champion squad which lifted the world title in 2010. She also progressed to the semi-final of the World Championship singles the same year only to be beaten by 11 times world champion Sue Thompson. Helen, who also captains Cleveland County has led her county team to victory in the Knockout Cup played in Great Yarmouth for 2 out of the last 3 years and been runners up in the Main interleague county finals in 2011. 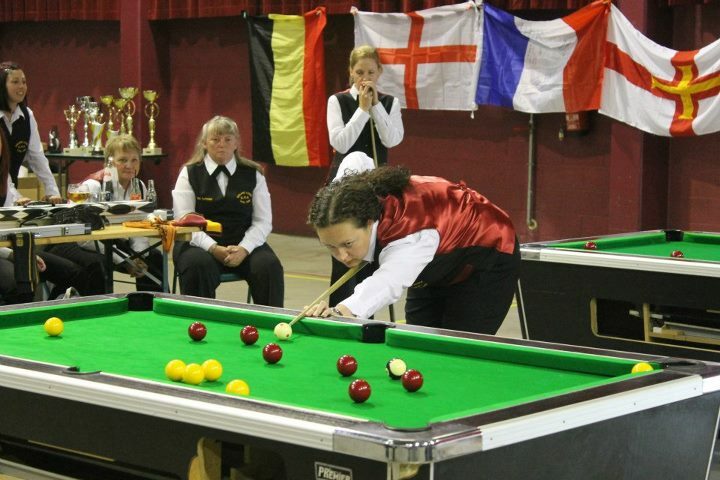 For more information on the England Ladies Pool team see http://www.epa.org.uk/englad.php. Details of the Ladies tour can be found at http://www.epaladiestour.co.uk/index.php.